Small Great Things should be required reading for Americans. The triumvirate of lead characters is: Kennedy, a white female criminal defense attorney; Ruth, a Yale educated, veteran black labor and delivery nurse; and, Turk, an early 20s male white supremacist. Told from the three different voices of the main characters, the story revolves around the birth of Turk and Brittany’s first child, a son they named Davis (after the Confederate leader Jefferson Davis). After Ruth is charged with a crime relating to the baby’s care in the hospital, Kennedy becomes her defense attorney. Having worked as a public defender for some years, Kennedy considers herself non-racist and without prejudice. Only through her relationship and representation of Ruth does she realize that her hyper-sensitivity to the race issue has never allowed her to actually see the differences that befall similarly situated people of different colors. Ruth also struggles with the race issue. Chagrined by the fact that her mother still dons a uniform to work as a maid for a rich white family as she’s done Ruth’s entire life, Ruth moves into an upper-middle class, white neighborhood to make a ‘better’ life for her son. Meanwhile, Ruth’s sister, loud, black and proud in the ‘hood, never lets Ruth forget that she’s turned her back on her childhood and heritage. And Turk? No struggling there. Reading his parts will set your teeth on edge. In the first line of his first chapter, he uses the N word. It is infuriating yet necessary in a book that goes to the heart of racism in this country. For me, Kennedy’s character was the most eye opening. Her status in life and her views on race and prejudice mirror mine. But she’s forced to take a much harder look at her own prejudices that are just a part of her make up because of the color of her skin and the world into which she was born. She’s not racist, but she doesn’t fully grasp the true differences experienced by a black woman as educated and as accomplished as she until she’s thrust into Ruth’s daily existence. Picoult, known for gut wrenching ironies at the end of her books, doesn’t disappoint in this one. And even though I saw it coming in Small Great Things, she writes it in a way that still hit like a knockout punch. If there is a weakness here, it is the legal aspect. There were some pretty big holes relating to liability issues and crimes charged. But those can be overlooked. Racism and prejudice are the focus here, the crimes and the trial just a method of delivering the message. 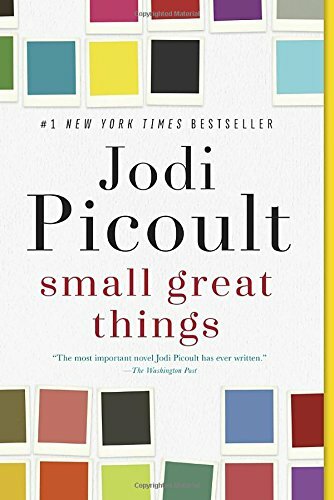 Small Great Things doesn’t necessarily offer answers but it certainly raises thought-provoking questions about perceptions, white privilege and color blindness. 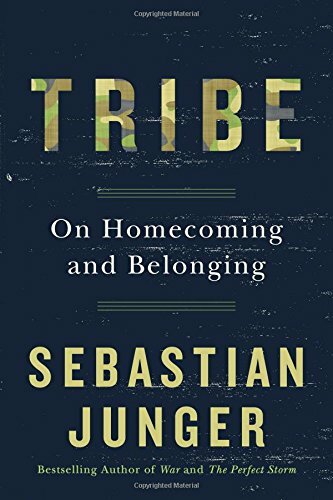 The universal lesson that society could benefit from by reading this book is that, truly, you cannot understand someone else’s perspective unless you’ve actually made an effort to experience it. Not by just thinking about it, but by doing it. Have a friend with a different skin color? Go to a family dinner with him. Attend a church service at her church. Go shopping with them. Don’t have any friends of color? Ask yourself why not. 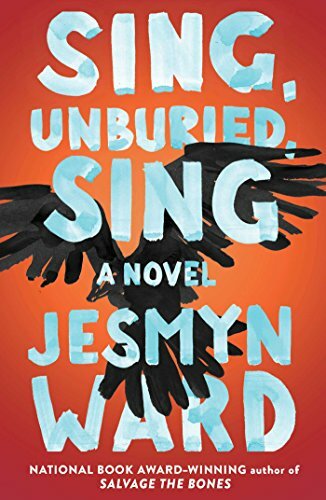 Sing, Unburied, Sing is heartbreaking and intense. It is the contemporary, rural South where location and characters are inextricably intertwined. This is Jesmyn Ward’s third novel, and she is certain to become one of South’s most notable writers. The story is of a black family in coastal Mississippi, laden with the pain of memories, disease, drugs, and obsessions. But it’s also a story of love, survival, and deep devotion. The chapters are told from the perspective of Jojo, a sensitive, prescient thirteen-year-old and his mother, Leonie. Jojo and his three-year-old sister, Kayla are raised by Pop, their grandfather who cares for them as well as his cancer-ridden wife, Mam, and their small home and livestock. Leonie waitresses in a bar, gets high on meth, and is consumed with her white imprisoned boyfriend, Michael, also the father of her two children. Focusing on the struggles of each character, Ward brings racial conflict front and center - from a story of slaves kidnapped from their homes in Africa and the harrowing ship ride to America, to Pop’s time in prison as a young man trying to look after a black child who was also jailed and brutalized. And we get a glimpse into Michael’s family - enough to witness extreme prejudice, violence, and hate’s repercussions. Tight knit, Jojo and Pop care for Kayla and Mam, and Pop tries to prepare Jojo for manhood; while Leonie works and gets high, planning for the day Michael is freed from prison. Jojo listens to Pop’s stories of growing up and of his time prison; of the boy he tried to save; and of the blood on his hands. He is haunted, and they are all plagued with ghosts in some respect. Ward is able to weave together the mystical - through memories and specters from the past who can’t find their way home - and a jarring reality of racism and drug addiction. This is not an easy book to read, but it is certainly worthy of the effort. Trevor Noah’s Born a Crime is fierce and heartbreakingly hilarious, just like he is. 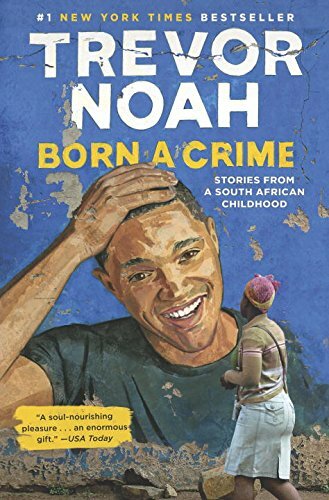 The son of an unmarried South African black woman and a much older Swiss man, Noah was literally “born a crime” under South African law. His birth was not by accident; his mother purposefully conceived him knowing full well the difficulties to which it could lead. But Noah’s mother refused to be bound by rules, laws, and religious tenets that did not make sense to her. And she was the definitive architect of Noah’s upbringing and ultimate success. Trevor, by his own description was ugly and ridiculous looking, but he found a way to use that to his advantage. Being a clown can garner attention and he used that attention to develop industrious business opportunities in some of the poorest neighborhoods in the world. Despite his present polish, in his writing he occasionally reverts to slang, starting sentences with “me and him.” As annoying as this grammatical error is to me, somehow, it’s endearing from Noah. It reminds you of where he’s been and what he’s gone through to get to where he is now. Through his own life story, Noah tells the more general story of apartheid and the plight of the truly poor in South Africa. Noah realized early on that having money gave you choices. “People don’t want to be rich. They want to be able to choose.” And, the “teach a man to fish” parable? Noah suggests that’s nice, but you need to give him a fishing rod too. He uses his own illegitimate birth to lay out the racial caste system in the country and to demonstrate how his mixed race secured him advantage in some circumstances and utter discrimination in others. Although his adolescence was an incredible struggle, Noah infuses humor and camaraderie into his story telling. He may have been the gawky clown, but he had friends and love and, even in the darkest of times, hope. Trevor Noah has been a force to be reckoned with since he was a boy. I expect he will continue to be for as long as he’s around. It’s dark and moody. It’s a puzzle with a few missing pieces, and that last piece stays missing until you’re just about ready to throw in the towel. But then that moment of realization finally happens, and you think, really, it was there all along. 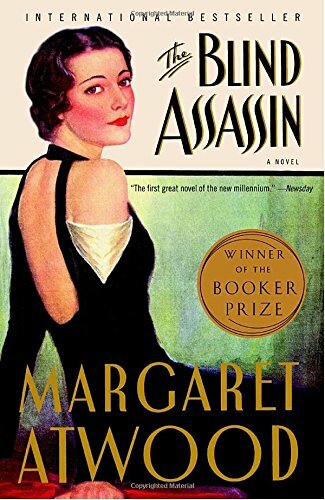 Margaret Atwood’s The Blind Assassin ferries us along multiple streams - stories within a story - and brings them all together somehow. The Blind Assassin is the sub-story to a greater narrative. There are two sisters, Iris and Laura, growing up wealthy, but sheltered and naive. Their mother dies early, their father struggles in business and relationships, and the girls are raised by the hired help. The sisters struggle through a series of tutors, small-town events, and their father’s dying button factory with a war and depression as the backdrop. While not worldly, older sister, Iris is practical. Laura, on the other hand is idealistic, very literal, and resists social norms for the sake of decorum. At a young age, Iris is married off by her struggling father to an older, ’new money’ industrialist to seal a business deal. Young Laura struggles to find her place in her new environment with Iris and her husband, and both sisters have ideas of their places in the world and agendas of their own. Within this emotional travail, another thread runs through the book, where we track two lovers meeting in secret, weaving their own story of The Blind Assassin, a science fiction adventure. Who are these paramours? And from whom are they hiding? What is the significance of this alien planet and warring creatures they’ve created? Relaying the tale is Iris in her later years. We learn a lot from Iris about her life, her sister’s, and the events that led to her sister’s death. “It’s loss and regret and misery and yearning…” There is no one in the book who does not carry some burden of guilt of some sort. Which I suppose is real enough. Yes, it’s all rather depressing. Atwood’s ability to undulate between the stories is expert and creative. But the book is also long and tedious at times. My feelings are mixed about it overall, but I’m curious enough to give Atwood another try since she has a long list of awards and recognition. Perhaps my expectations were too high on this one. This is the second summer release I anxiously awaited only to be disappointed. 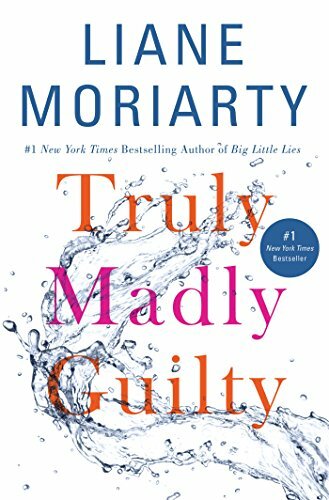 Just like Emily Giffin’s First Comes Love, which I reviewed last month, Liane Moriarty’s Truly, Madly, Guilty fell short of the high bar she has previously set for herself. I have come to consider Moriarty a sort of modern day, female John Irving. Both are masters of bringing all story lines in their novels to fruition in the ultimately shocking ironic twist. Moriarty did it with precision in both The Husband’s Secret and Big Little Lies but in this book, the culminating event is shoved down your throat from the opening chapter. In fact, every other chapter is entitled “The Day of the Barbecue” so you know at the outset exactly when you’ll be reading the lead up. The story centers around three couples, Clementine and Sam, Erika and Oliver, and Tiffany and Vid and, yes, you guessed it, a barbecue. Clementine and Erika have been best friends since childhood with a somewhat tortured relationship. The depth and texture with which Moriarty constructs this friendship is where she excels. What also shines in this book is Moriarty’s character development. Though she never identifies Erika as suffering from a medical condition, she seems to be somewhere on the autism spectrum with her lack of affect and inability to filter. Moriarty also delves into hoarding as a condition (Erika’s mom is a hoarder) and sheds real light on how it is a sickness first and foremost, not a problem with ‘things’. As for the plot, while the denouement of the barbecue is no doubt dramatic, it is still anti-climactic. The wind up is like the tick-tick-ticking of a monster rollercoaster only to get to the top and drop a couple feet at a leisurely pace. Similarly, the revelations that come out after the event are equally a let-down because of the overwrought build up. Overall, Truly, Madly, Guilty sadly misses the mark. The pages turn quickly but Moriarty’s modus operandi of an intricately woven storyline culminating in an explosive ending just isn’t there. And it is missed.